You are here: Home / Blog / A big thank you to our knitters! A big thank you to our knitters! One of the happy things about this job is that if a nice soft, squishy parcel turns up at the office, it’s usually for me. When I open them, a rainbow of knitted garments will tumble out, courtesy of church groups, groups of friends and industrious knitters who work at home and produce great quantities of carefully knitted clothes. I am pleased to report that I was able to pack up a huge holdall for a colleague to take out to India just before Christmas. She tells me that they were gratefully received but we do have a special request from the community who tell us that they have a particular need for jumpers for children aged from eight to twelve. I also need to say something about penguin jumpers. Some years ago there was an oil spill off the coast of Australia which affected the local penguin colonies. Rescuers found that to give the penguin the best chance of survival they needed to prevent them following their instincts and preening their feathers in an attempt to remove the oil. Penguins were dying from ingesting the oil before rescuers could get to them and clean them up. An ingenious rescuer (must have been a knitter!) discovered that by putting a cover on the penguin to prevent it preening gave rescuers enough time to clean the birds properly and greatly enhanced their chances of survival so the call went out internationally for knitters to support the rescue effort and create a stock for future use. The good news is that, thanks to the overwhelming response by knitters the penguin rescue groups now have enough jackets to meet their needs. We would be very grateful if you have been knitting penguin jackets or you know anyone who still is for you to let them know that we no longer need the jackets as I am still receiving bundles of new penguin jackets in the post. We still need warm jumpers hats and scarves for children, especially older children. You may be pleased to know that I am determined not to let any of this beautiful knitting go to waste and have been looking for alternative ways to use the Jackets. So far I have sent a box full to the Small Dog Rescue in Leeds as they are the right size to keep a small abandoned dog warm. I am also in discussion with organisers of childrens play events with the possibility of them being used in their arts and crafts activities. If you know of any organisation which could put them to good use please let me know. 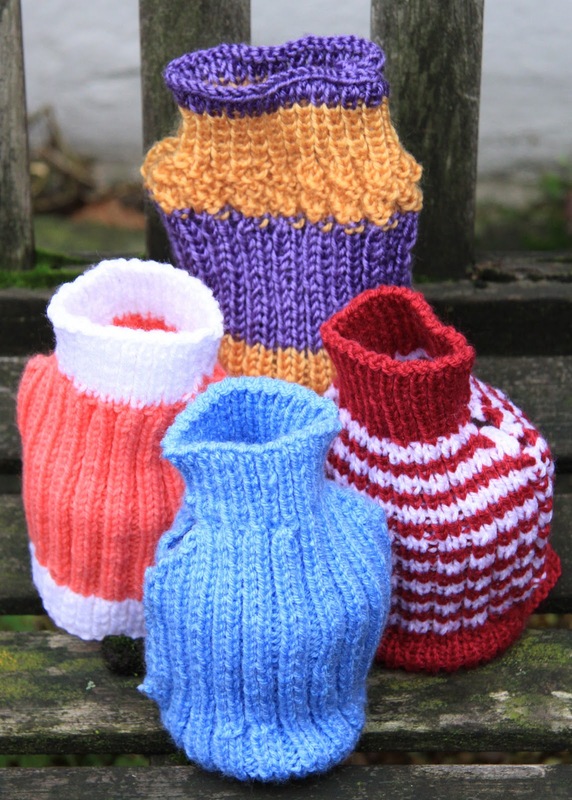 We are currently working on a new campaign to keep local Knit for Peace Groups’ needles busy so watch this space!